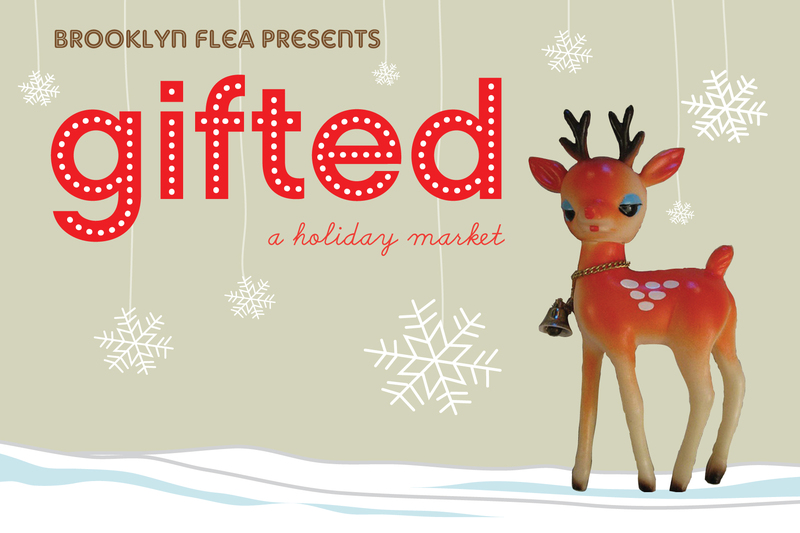 This year I’m going to be doing the Brooklyn Flea Gifted Market, from Friday November 27th to Sunday December 20th. 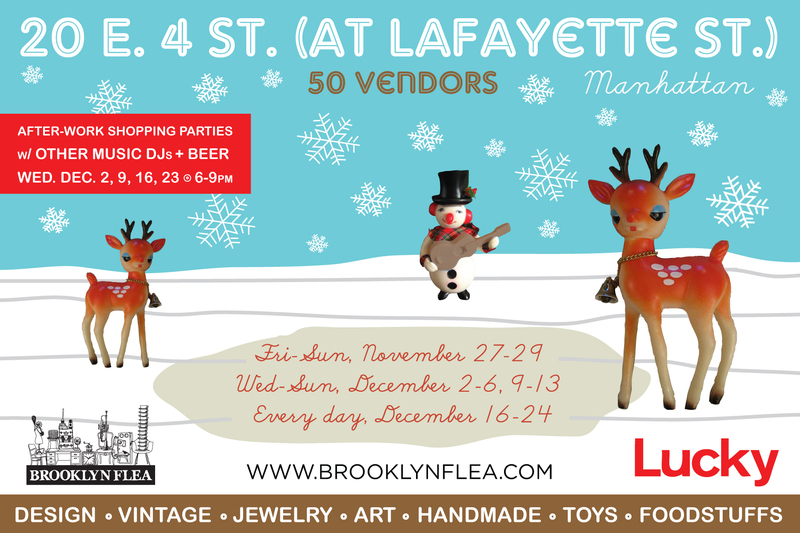 It’s going to be epic, and very fun, so I hope you can come check out all the great vendors. 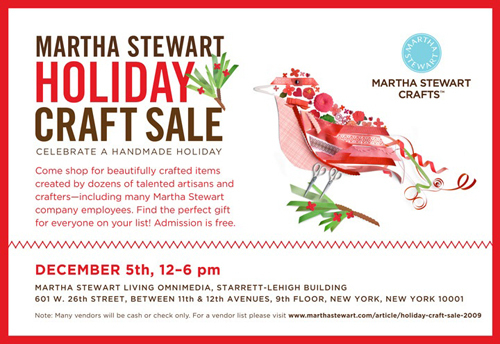 I’m also participating in the Martha Stewart Craft Sale December 4th & 5th. I’m so excited about this, but also feeling some major pressure to make my table look up to par. Can’t wait! 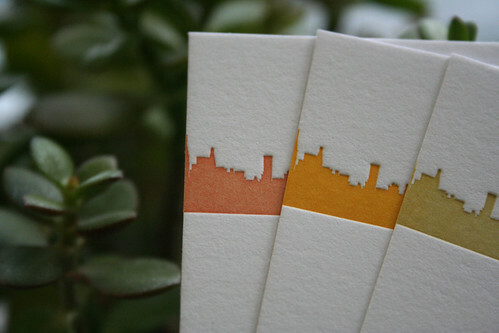 These will be in my Etsy shop within the next few days! 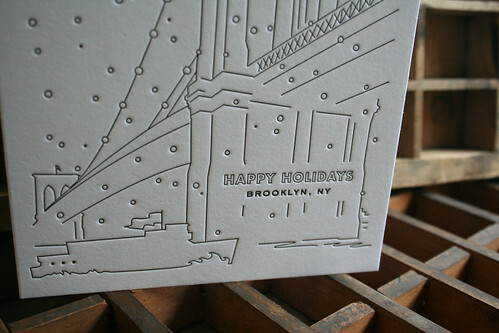 Finally, a nice Brooklyn Bridge holiday greeting. 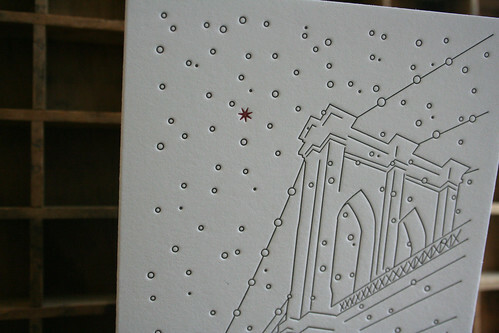 These are all black ink except for a single red star in the sky. 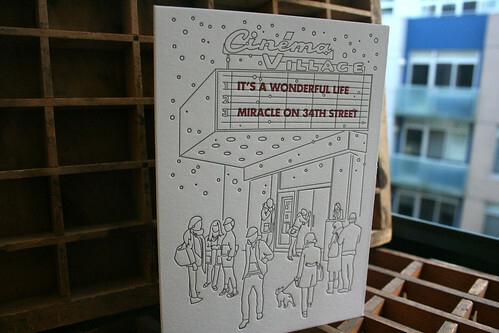 Here is Cassidy’s East Village holiday card scene, the second style of three! 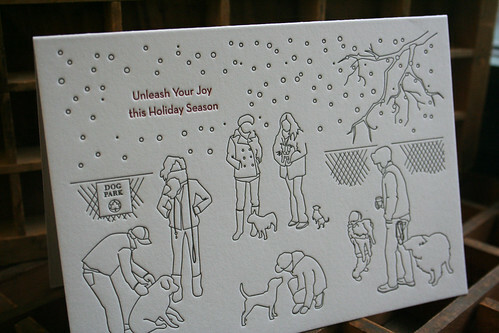 Today I’m finishing the first of three 2010 holiday cards, designed by Cassidy Iwersen (formerly O’Rourke). 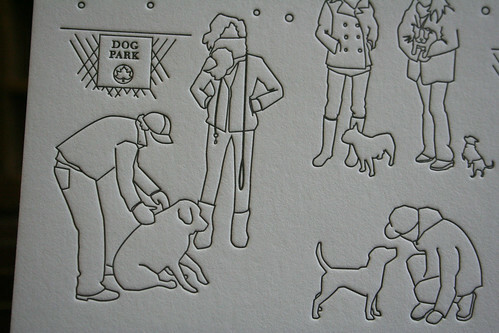 Cassidy drew three NYC themes, one dog park, one movie theater and the Brooklyn Bridge. 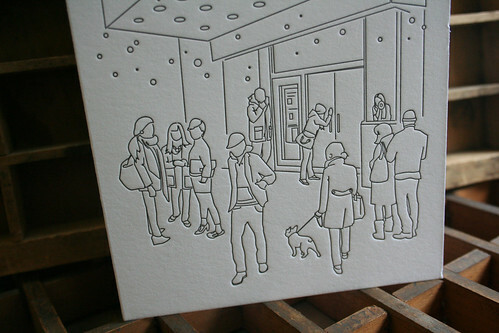 I’m such a huge fan of hers, it was a thrill to collaborate! 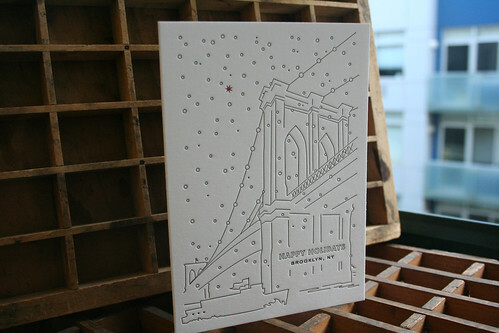 I’m going to post these in my Etsy shop (soon) and will be selling cards along with lots of other items at the Brooklyn Flea Gifted market, starting November 26th. 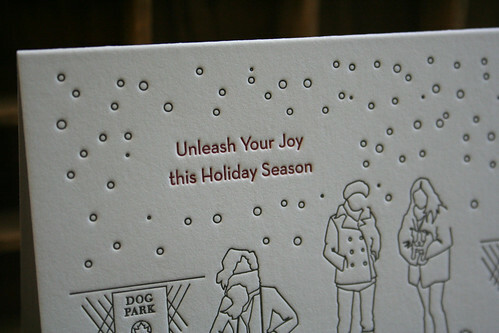 So excited for the holidays to kick into gear. 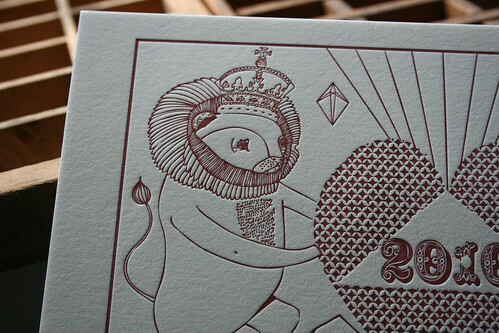 I’ll post the remaining cards in the next few days. 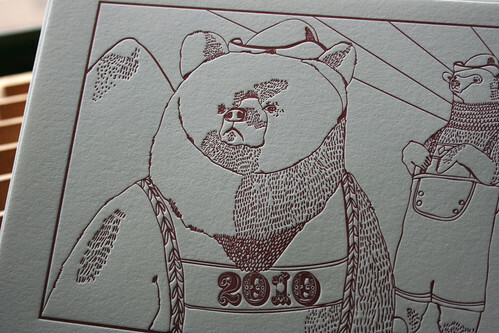 These awesome calendars were illustrated by the amazing Julia Pott for an international Etsy promo. 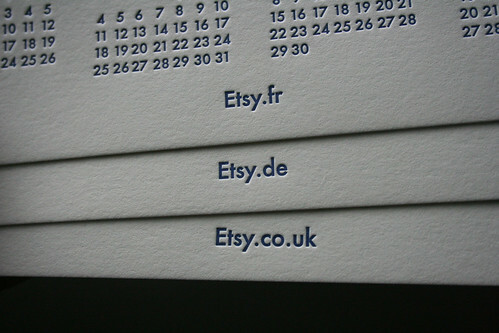 Last week the Etsy marketing team shipped out to Europe to explore opportunities in a brand new marketplace. 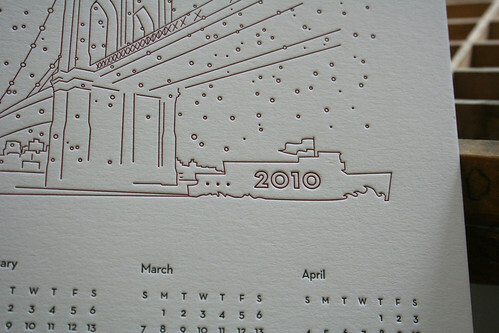 They brought with them three different versions of this 2010 calendar, one in German, one in French and one in English. 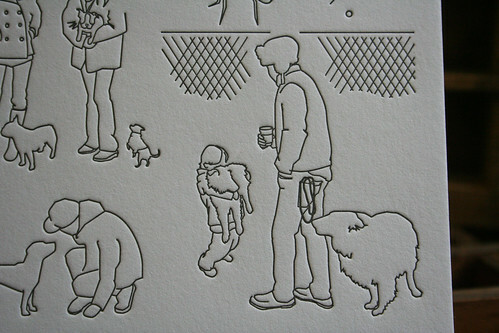 I was so happy to print them, Julia’s artwork is perfect in letterpress.